The field of merchant navy involves a certain order of hierarchy with the seafarers holding different ranks on ships. This ranking system ensures smooth coordination of on board operations and promotes proper management strategies. Indian Maritime University (IMU) common entrance test – for February / August Batch will be conducted around September / April for the one year DNS course leading to B.Sc. Nautical Science Programme. The nomenclature of merchant navy ranking system is universally accepted by shipping companies and commercial vessels around the world. However, there can be minor changes in names and duties assigned to specific positions depending on the country to which the ship belongs. The bridge of a vessel, also the navigation hub, is fitted with advanced machinery systems. The ship must be handled by people possessing the required amount of knowledge and skills for navigation. Seafarers under the deck department of the ship are vested with the responsibility of managing ship navigation, along with handling cargo gears and berthing instruments present on the deck of the ship. Similarly, seafarers working in the ship’s engine room fall under the engine department. This mainly include marine engineers and ratings responsible for operation and maintenance of ship’s machinery. The third department, or the catering department, is responsible for preparation of meals and general housekeeping for crew and passengers. It is to note that in general cargo ships, the catering department comprises of only 2-4 members, whereas in passenger vessels there are several members/ranks in the catering department depending on the size of the vessel and number of passengers. A vessel thus requires a definite system of merchant navy ranks that would enable the distribution of assignments in a professional and formal manner. The Captain (or Master) of the ship is at the top of all the ranks, holds the highest post of the ship’s crew, and is accountable to the owner of that ship. He shoulders immense responsibilities and presides over the activities occurring on board. He tackles serious issues and guides the crew to perform better. The Captain stays in command of the vessel, all the time and he regulates the proper daily transaction and handles the legal affairs of the maritime issues. If a situation arises wherein the Captain is not on board, then automatically the Chief Officer has to take over the Captain’s work and will act as the ship’s executive officer. Chief Officer / First Mate: Chief officer occupies the second responsible position after the Captain of the vessel. He acts as the leader of the deck department and mainly engages in the cargo affairs. He also supervises the vessel’s crew and looks after the various deck operations. The Chief Mate prioritizes the security and safe functioning of the vessel, and is concerned about the welfare of crew and passengers (if passenger ships) on board. Additionally, the correct working of the hull, the accommodation section, the cargo gearing, the security appliances and the fire prevention equipment is managed by the Chief Officer. Second Officer/ Mate: He is the primary officer behind the navigational section of the vessel (Navigation chart preparation and paperwork) and his designation implies that he is third-in-command. His main responsibility is the standard 12-4 navigation watch duty. Third Officer/ Mate: He is basically employed with the security measures on board, and therefore is greatly answerable to the Captain for maintaining the safety of the particular ship and its crew. 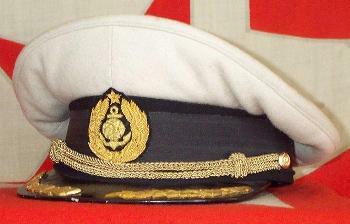 After the captain, he is appointed as the fourth-in-command. Usually, the Third Officer handles the standard 8-12 watch duty. Deck Cadet: The role of a deck cadet is quite important on ships as he can be assistance to all the officers. He is basically new to the ship and is on ships for the training purpose. Prior joining he has to undergo several courses to avoid disasters and accidents on the vessel, along with knowledge on firefighting equipment, first aid and other security measures. Special training is meted out to the Deck Cadets under the maritime law, and they prove their worth in the navigational section, besides dealing with the cargo. A newly appointed Deck Cadet needs to report to the Chief Officer of the ship, from time to time. A Cadet must observe and lend a helping hand, and try to gain as much of knowledge as possible. His ineligibility for the “Certificate of Competency” award implies that he has no permission to keep watch. He accompanies a senior officer while they stand in watch, instead. Our online coaching classes to join as a Deck cadet can be joined thru below link. Bosun: Bosun takes care of the crew on the deck and also assist chief officer in daily routines of the ships. Able seaman: According to the modern nautical terminology, an able seaman (AB) possesses a merchant mariner’s document and is eligible to assist the deck department. Ordinary seaman: The post of ordinary seaman, denoted by OS, serves the vessel’s deck department. An OS is usually busy with tasks such as buffing, scaling, cleaning the deck and occasionally painting the superstructure, above the main deck. An ordinary seaman can undertake activities like overhauling, splicing ropes, wiring, rigging, etc and conducting repair-work on the deck. It is the Ordinary seaman’s job to ensure secure handling of cargo gears and loading or dismantling cargo. He is directly associated with the proper launching and recovering the ship’s lifeboats. Chief Engineer: Chief engineer is the head of the engineering department on a vessel. The required qualification for this position is loosely referred to as the “Chief’s Ticket”. Alternatively, he can also be alternatively termed as the “The Chief” and usually draws the same payment as the Captain, although the complete responsibility of a particular vessel falls solely on the Captain’s shoulder. The Chief Engineer cannot take over the ship’s charge, unless such a situation arises which has been documented under the safety measures. Chief engineer gives orders for operation and maintenance of ship’s machinery system and is responsible for the engine room department. Second Engineer/ First Assistant Engineer: He is associated with the day-to-day activities in the engine room, and he is accountable to the Chief Engineer. He stays extremely busy most of the time on board, as he needs to constantly supervise the proper functioning of all engine room machinery systems and also assigns jobs to the other engine officers and crew. The Second Engineer generally keeps watch on the engine room, during the day time. Third engineer/ Second Assistant Engineer: This is the next position after the Second Engineer, and is assigned jobs to look after machinery ordered by the chief engineer, along with daily watch keeping. He reports to the second engineer. Fourth Engineer/ Third Assistant Engineer: This is the most junior rank in the engineering department. The Fourth Engineer is concerned about the correct working of the machinery systems assigned to him and also carry our watch keeping. He reports to the second engineer. Fifth Engineer/ Engineering Cadet: Fifth engineer is a trainee under the Second Engineer officer, and he assists and learns while observing and carrying out activities in the engine room. He would accompany a senior officer (mostly second engineer) during the watch duty. All the engine room ratings report to the second engineer. Chief Cook: Chief cook falls under the catering department of the ship. It is his duty to prepare meals regularly for the crew and passengers. He is also in charge of the food stores, and he can utilize or replenish them. The Chief Cook also inspects the equipment needed to keep the ship clean and uncontaminated in the galley area. Trainee Cook: The trainee cook assists chief cook in preparation of meals and managing provision. Steward: The steward, as the name suggests,is assigned tasks include cooking and serving meals on time, sweeping and maintaining the living quarters of the officers, and stocktaking the stores. It is also the job of a steward to manage the grocery accounts, planning menus, and documents the cost control issues. It is to note that a galley on passenger ships would involve several other ranks as well. Merchant navy ranks might differ a bit depending on the country to which the ship belongs and the shipping company. However, the basic hierarchy remains the same as mentioned above. Make a career in Merchant Navy. Our online classes can be joined thru below link.